Home / Small Treasures / Gold Earrings / Round flakes of gold melted to a random shape for earrings on posts. 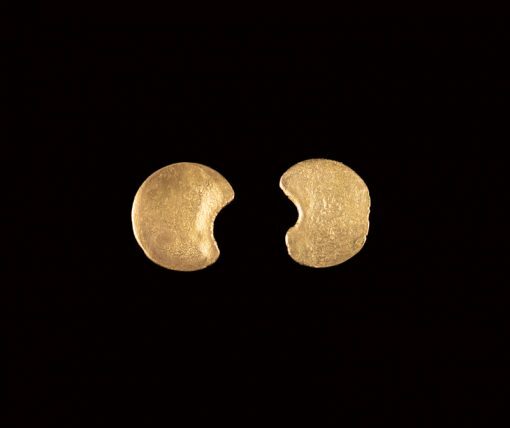 Round flakes of gold melted to a random shape for earrings on posts. Two small round flakes of gold have been melted and allowed to take on whatever shape they do as the metal is being heated. Unusually two pieces came similar enough in shape to make a pair of stud earrings. The gold is textured and thin and looks just a little like the moon, both in shape and texture. 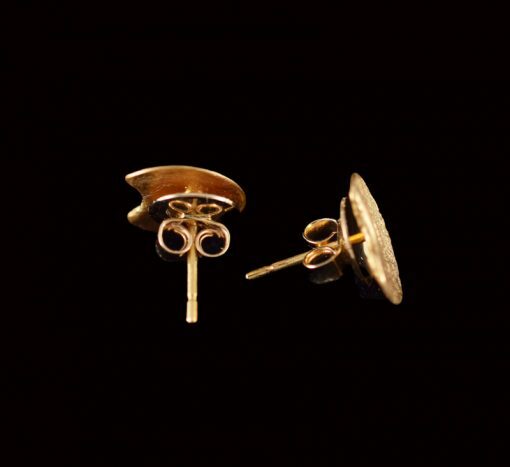 The earrings are approximately 1cm across.